Historical Society serving to preserve and share the unique history of Beaver Island. The Beaver Island Historical Society serves to preserve and share the unique history of Beaver Island and the Archipelago. 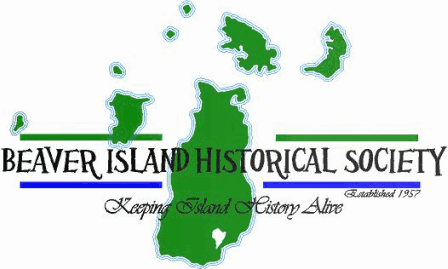 The Beaver Island Historical Society was founded in 1957 to collect and share the fascinating history of Beaver Island. A remote island in Lake Michigan, it has witnessed many interesting and unique historical events, and has been home to various groups including Native Americans, a Mormon branch known as the Strangites, Irish immigrants, fisherman, lumberjacks, and many more. The Historical Society currently operates two museums on the Island, the Print Shop Museum and the Marine Museum, as well as two additional historical sites: Heritage Park and the Protar Home. We offer several resources and services to our visitors, including genealogical research, copies of archival photos, and a series of historical journals and other books for purchase. Additionally, we host many events throughout the year to promote the Island’s history. Book series of journal and essay stories on the history of Beaver Island, published in five volumes 1976 to 2002.